Contact a Provo 18-wheeler accident lawyer to find out if you have grounds for a personal injury claim and to determine how best to proceed with your case. While accidents with 18-wheelers and other industrial trucks are traumatizing, the aftermath of a truck accident can actually be even worse in some ways. This is because recovering from your injuries and getting your life back on track won’t be inexpensive, and the insurance company or at-fault party won’t be eager to provide the funds that you need. 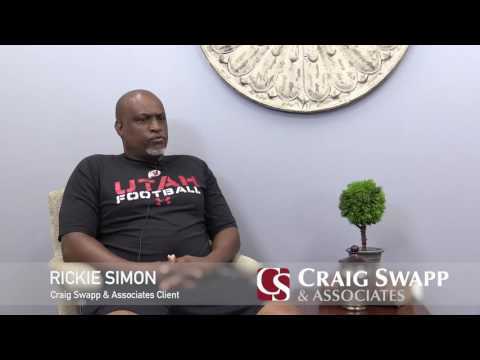 By working with a Provo truck accident attorney from Craig Swapp & Associates, you can deal with the insurance company on an even playing field. We can help you build the strongest case possible and get a full and comprehensive settlement for your truck collision. Filing a personal injury claim to recover financial damages for an 18-wheeler wreck starts with investigating the crash that left you injured. Your truck accident lawyer in Provo will need to determine precisely who was at fault, how they were to blame, and find evidence and witness testimony to prove it. Crashes involving commercial vehicles differ from other traffic accidents in that it’s common for multiple parties to all be partially responsible. The trucker, trucking company, cargo owner, maintenance company, and even a parts manufacturer or government entity could all be responsible. For example, if the truck driver was driving fatigued because of an unreasonable deadline, both the truck driver and the trucking company could be found negligent: the driver for choosing to stay on the road and drive drowsy and the trucking company for pressuring the driver to do so. If the truck driver had a history of unsafe driving and violations, then the trucking company might even bear further responsibility for negligent hiring. The monetary settlement that you ultimately receive for your Provo truck accident will need to account for all of the financial expenses and non-economic losses that the semi-truck crash caused. Whether you experienced a brain injury in the collision or a few broken bones, every single negative impact experienced by your finances and quality of life should be covered. A demand letter seeking compensation for your current and future medical bills, lost wages, property damage, pain and suffering, and more will be sent to the insurer. They’ll have the opportunity to either settle according to your terms or make a counteroffer. The majority of these cases settle out of court, with trial only becoming necessary if they refuse to take your claim seriously. Your Provo commercial truck wreck lawyer will represent you throughout the legal process, whether your claim can be resolved through negotiations or needs to go to court. You’ll know what to expect and be prepared for each step along the way. Contact Craig Swapp & Associates to find out who owes you a settlement for your commercial truck wreck and to determine what it might be worth. We’ve helped injury victims from all across Utah get the funds they need, and we can do the same for you. To arrange a time to meet with a Provo trucking accident lawyer during a free consultation, call 1-800-404-9000 or contact us online through the form at the bottom of this page.